Riverside Gardens has selected Lother's Catering and Jack's Catering as local preferred caterers. Both of our Licensed Preferred Caterers have extensive experience in making your event catering in Dayton, Kentucky, memorable. 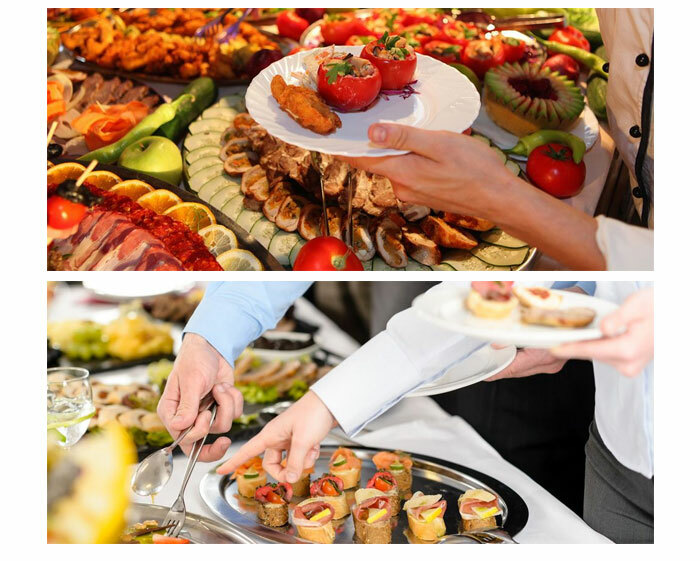 We work with preferred caterers to help insure your event's success. Each is familiar with our facilities and able to provide full-service venue catering in Kentucky to large and small events. Food Service Fee: There is no additional food service fee for events with no food service; or for events that contract with one of our Preferred Caterers. Events wishing to provide their own food or contract with other caterers will have a food service fee added to the Rental Contract Balance, for use of the Kitchen and buffet areas and equipment. This food service fee permits you to choose any licensed professional caterer of your choice. Please contact our preferred event catering vendors in Dayton, Kentucky, directly for additional details and final menu selection and catering needs. Jack's Catering has been serving the tri-state area since 1964. Our family-owned business is committed to impeccable service and has been catering to Northern Kentucky and Greater Cincinnati for over 35 years. We have impeccable service and great prices. So whether you have 25 or 25,000, we can cater to your every need. Lother's Catering brings a standard of excellence to wedding catering. We've created menus and events with the focus on elegant buffets with an unparalleled level of service. Our beautiful buffet setups have been the talks of many receptions and our delicious food and quality services leave your guest smiling.